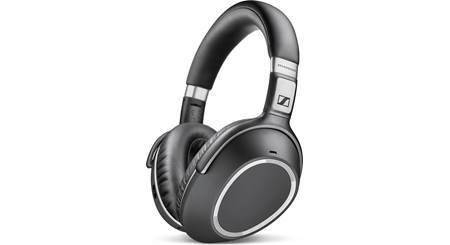 I find the JBL Everest Elite 750NC headphones very attractive, symmetrical and well put-together. 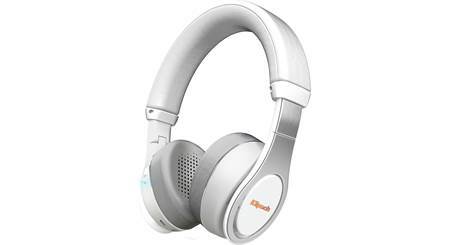 I find the JBL Everest Elite 750NC headphones very attractive, symmetrical and well put-together. Plus they are loaded with features at this price. 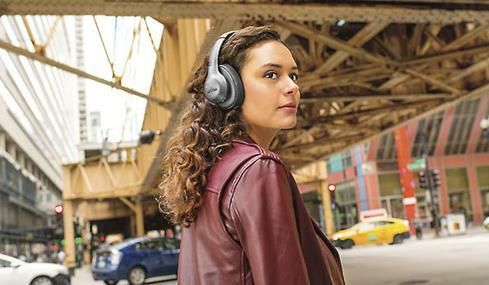 Music plays wirelessly from your phone via Bluetooth, and active noise cancellation knocks out the hustle-and-bustle around you. JBL's special circuitry automatically adjusts itself to the external sound. Or you can download their mobile app to manually choose your level of noise canceling. And want some boom for your buck? 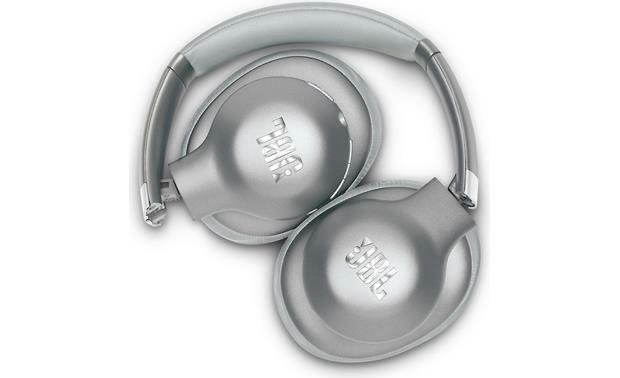 JBL tuned their always-pleasant sound for powerful, yet focused bass. The bass is good and I love the ability to focus on what you want in a video or song like vocals or bass with the app but I care little for the ambient noise sensitivity. 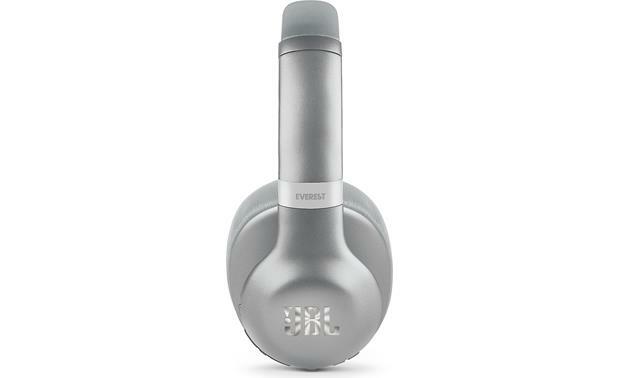 Earcup Width x Height 3.034" x 3.828"
Overview: The JBL Everest Elite 750NC wireless over-ear headphones deliver the JBL Pro Audio Sound either wired or wirelessly. Bluetooth 4.1 lets you listen to your music or carry on a phone conversation without being tethered to your smartphone. You can also plug into your device with the supplied audio cable when you can't (or don't want to) go wireless. With Adaptive Noise Cancelling, you can shut out ambient noise, so all you hear is the music. The Everest Elite 750NC also comes with a USB charging cable and a zippered hard storage case. 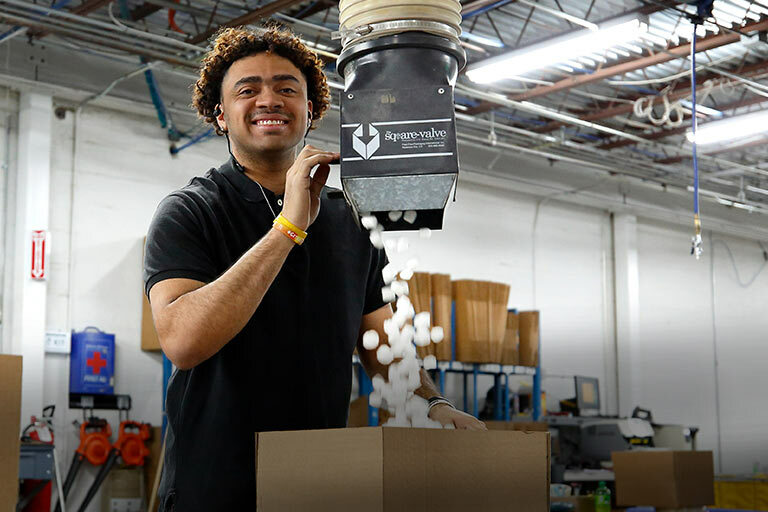 Adaptive Noise Cancelling (ANC): The Everest Elite 750NC headphones feature Adaptive Noise Cancelling (ANC), giving you the ability to control the level of ambient noise that you hear in your headphones. 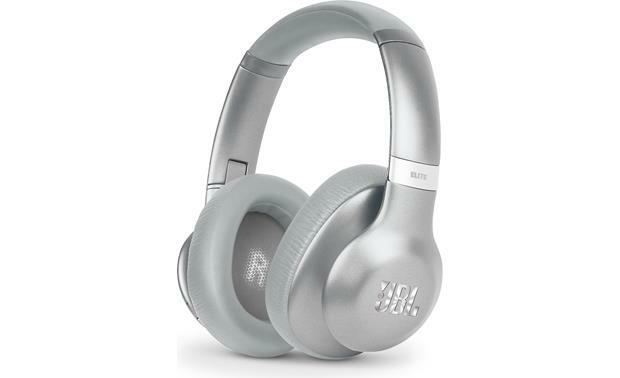 Using the My JBL Headphones app, or the on-board Smart button, you can turn on (or off) and select one of three levels of ANC: ANC On (highest degree of noise cancelling), Ambient Awareness Low (medium), or Ambient Awareness High (lowest). The higher the Ambient Awareness level, the more sound from your surroundings can be heard in the headphones. 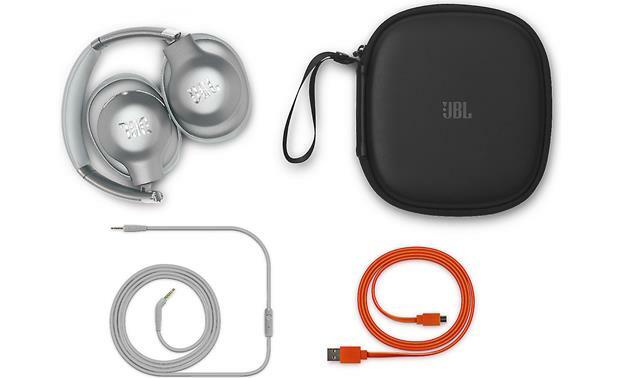 The My JBL Headphones App is compatible with iOS (8.0 or later) and Android (4.4 and up) devices. Bluetooth: The Everest Elite 750NC wireless over-ear headphones feature Bluetooth (version 4.0) with HFP (v1.6), HSP (v1.2), A2DP (v1.2), and AVRCP (v1.4) profiles. On board controls are located on the right ear cup, and include the following: Power, volume up/down, play/pause, next track, previous track, answer/reject call, and end call. You can also pair the headphones to two devices and seamlessly switch from one to the other. TruNote Audio Calibration: TruNote automatically calibrates the sound of your headphones based on how it fits to your head. You can perform the calibration through the My JBL Headphones app or the on-board Smart button on the headphones. When you activate TruNote, a series of sweeping tones will be heard through the headphones until the calibration is complete. 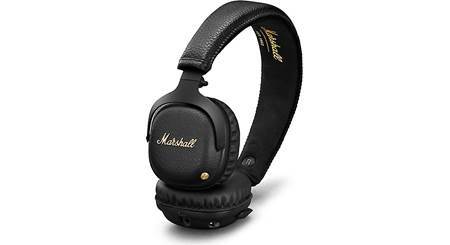 Battery: The headphones are powered by a built-in 3.7V 850mAh Polymer Lithium-ion rechargeable battery. The battery charges in approximately 3 hours via the supplied USB charging cable. On a full charge, the battery gives you up to 15 hours of wireless music playback or talk time with ANC on, and up to 20 hours with ANC off. Searches related to the JBL Everest Elite 750NC Over-ear wireless noise-cancelling headphones.